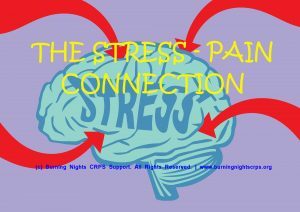 What is stress and how can we manage it when living with chronic pain or a condition like CRPS? 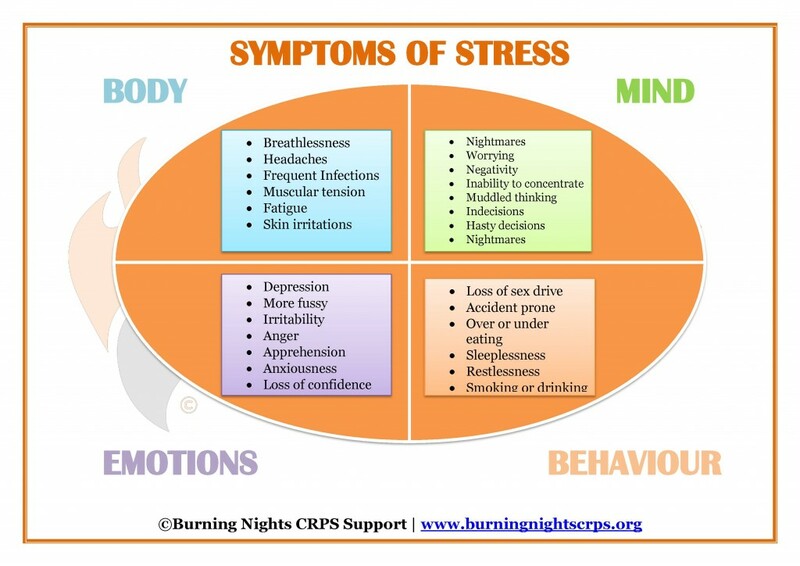 These questions will be answered in this stress management for CRPS and chronic pain blog. 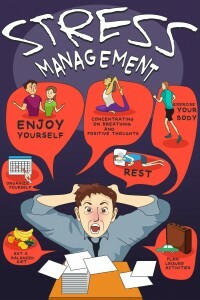 You will also find 12 top tips for Stress Management! Our lives are filled with various stresses, strains and frustrations but it is how you cope with the stress that is important. 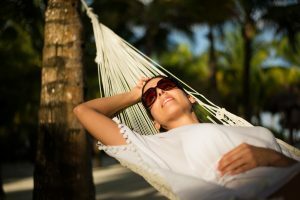 Not all stress is seen as bad for your health as long as that stress remains at a comfortable level that you can cope with. However when that stress becomes too overwhelming for you, that is when your health becomes affected along with your mood, your quality of life and also your relationships. Stress and pain are closely linked with each other and they each have an impact on one another, thereby creating a vicious cycle that sets off the chronic pain and the stress. Emotional tress can most certainly worsen the pain from Complex Regional Pain Syndrome (CRPS) (Advanced Pain Management 2013). A part of having pain relief is learning how to manage your stress. (Bhatia, J. 2013) Stress can’t be eliminated however it can be managed by using a number of different techniques and tips. Living with chronic pain is itself very stressful however stress can contribute to a range of health problems, including high blood pressure, heart disease, obesity, diabetes, depression and anxiety. In addition, stress can trigger muscle tension or muscle spasms that may increase pain. Managing your emotions can directly affect the intensity of your pain (American Psychological Association 2013.) Do you find that when you’re stressed your heart starts to race, your breath quickens up, some of your muscles begin to tighten? This is a totally normal response to stress. 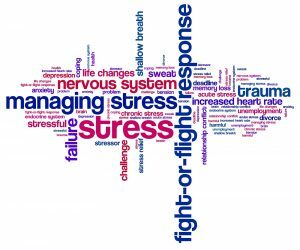 This is also called our ‘fight or flight’ stress response and it is basically your body’s way of trying to protect you. Unfortunately stress causes pain and pain causes stress and the most important thing is to try and break the pain-stress cycle which can be difficult. Therefore part of getting pain relief is learning how to better manage stress. In a 2013 study by Étienne Vachon-Presseau et al. (2013) from the Universite de Montreal it was found that for chronic pain sufferers, avoiding the harmful effects of stress may be key to managing their condition. He also found that this was particularly important for people with a smaller-than-average hippocampus*, as they seemed to be particularly vulnerable to stress. Researchers are not fully clear as to how stress and pain are related but it is known that when people are stressed out they often experience pain in the shoulder, back and neck. 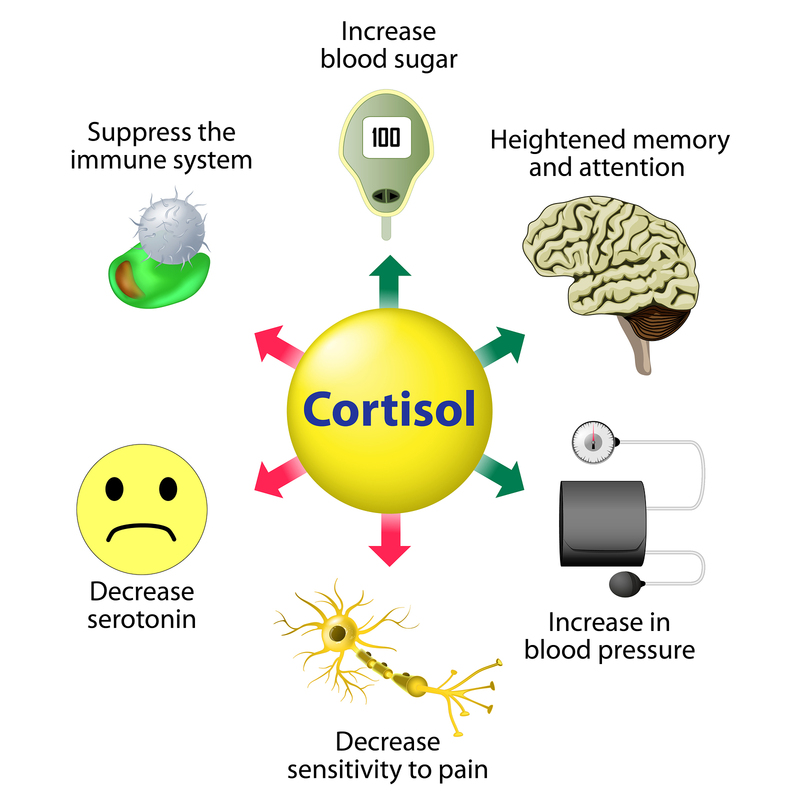 This could be due to the link between stress and tension in the muscles however it could also be related to brain chemicals (Everyday Health 2013) Studies have found that the more anxious and stressed people are, the more tense and constricted their muscles are, therefore over time causing the muscles to become fatigued and inefficient. According to Steven Stanos the medical director of the Centre for Pain Management at the Rehabilitation Institute of Chicago he says that to allow us to keep functioning despite the pain, the brain will try to maintain some sort of balance when it receives pain signals by minimising these signals. 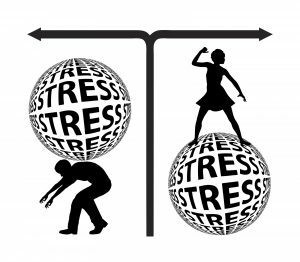 However chronic stress can offset this balance that has been created. 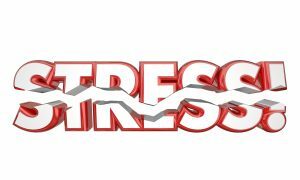 (Everyday Health 2013) There is research that shows that some stress is good however there is a limit. 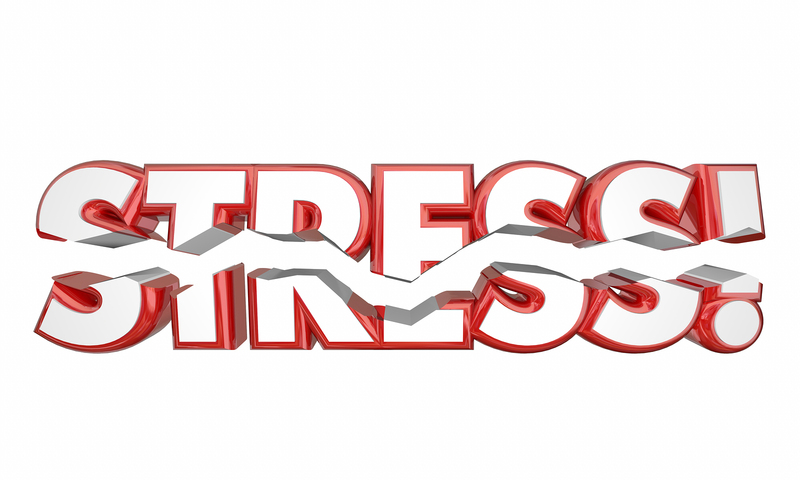 Stress ‘revs up’ the body thanks to naturally-occurring performance enhancing chemicals like adrenaline and cortisol. This heightens ability in the short term. Stress has been known to increase the intensity of pain, contribute to depression and anxiety ultimately decreasing a persons ability to tolerate pain, and diminish a persons ability to cope with pain. However stress is not credited with causing prolonged or chronic pain but rather feeds into it. 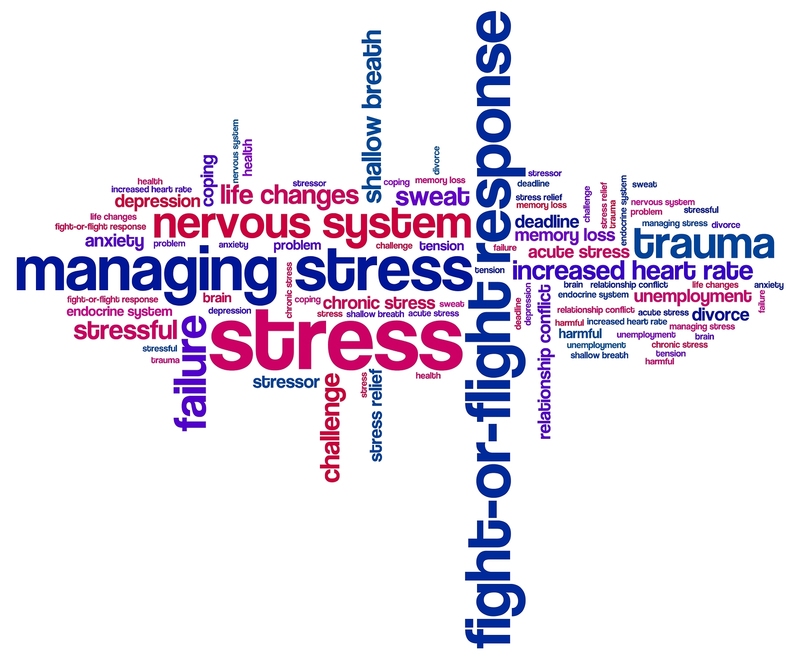 It was one of the early pioneers in stress research, Walter Cannon, who first described the ‘Fight or Flight’ response. Cannon was the one to note that when we experience a shock or we think there is a threat, our body quickly releases hormones to help it survive. It is these hormones that help us to run faster and fight harder. The physical response from these hormones include – increasing the heart rate and blood pressure which in turn delivers more oxygen and blood sugar to power important muscles. They increase sweating to try and cool these muscles, and help them stay efficient. They divert blood away from the skin to the core of our bodies thereby reducing blood loss if we are damaged. Also these hormones focus our attention on the threat, and exclude everything else going on. Breathing is accelerated to supply more oxygen for conversion to energy. The heart moves into overdrive to supply the body with more oxygen and nutrients. Our immune system is activated, ready to administer to wounds. Attention and sight become acute and highly focused and our sense of pain is diminished as the body releases analgesic hormones. The Mayo Clinic have created the 4 A’s of stress relief 2013 to help you build up some coping tips for stress. The 4 A’s are: Avoid, Alter, Accept and Adapt. Please try and remember that you can’t avoid everything. There are some problems that you cannot overlook. 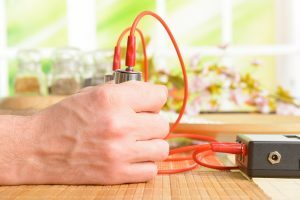 It is on these occasions that you need to try and find another stress relieving technique to help you. 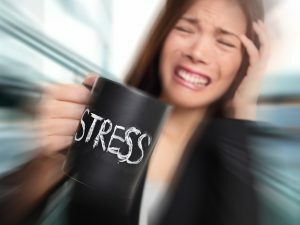 To help you start to get some relief from stress, you need to remove a lot of needless stress that can simply be avoided. Try and plan ahead if you can and/or rearrange your surroundings, these 2 things should help you avoid the needless stress. What do we mean by ‘rearrange your surroundings’? Do you take a crowded bus or train at the same time everyday? Do you drive the same crowded route to work, the supermarket or your kids’ school? Why not instead drive a less travelled route or leave a little earlier to catch an earlier bus or train? Learn to say ‘No!’ You don’t have to try and do everything all in 1 day. You will find you have many responsibilities and demands on your time, learning to say ‘No’ can you help you avoid some stress and give yourself some time. Organise a To Do List and include the crucial and important jobs to do at the top of the list. If you’re finding you have a very busy day ahead, take off the last few jobs and put them on the next day’s To Do List. According to the Mayo Clinic and their 4 A’s of Stress Relief, they say that during times of stress, 1 of the most helpful things to do is to take an inventory and then try and alter your situation for the better. Communicate your feelings openly by using the word ‘I‘ in statements such as ‘I feel that I have too many tasks to do today, is there anyway I can balance this out?‘ Manage your time in a better way so that your tasks are put into groups such as make the phone calls together, check your emails, car errands etc. This will hopefully increase save time and increase your efficiency. State your limits in advance, for example instead of listening to a long non-stop conversation about nothing in particular, tell the person that you only have 5 minutes to go through the issue in hand. Kindly and respectfully ask other people to change their behaviour and also be willing to do the same yourself. Small problems and issues tend to grow into larger ones and can eventually cause severe issues if they’re not resolved. If the source of your stress can’t be avoided or altered, this is when you need to try and adjust your ability to tolerate it. Sometimes we have no other option than to accept things the way they are. This is the time when you need to try: Talk with someone – You may not be able to change a frustrating situation, so phone up a friend, join a support group or schedule a coffee break. You may feel better if you talk things out with someone. Forgive – It takes up a lot of energy being angry, so why sit and stew in your angry when you could try and move on? Forgiving may take some practice but if you do then you will free yourself from burning more negative energy. Positive self-talk – You may be wondering what this actually is. Well, when you’re stressed it is easy to lose objectivity. 1 negative thought can lead to another and can lead to a complete mental melt down. Instead, be positive! Don’t think of what it is that you can’ do or you’ve done wrong, instead think that yes t may have been a hiccup or a mistake but you’ll get through it. Learn from your mistakes – You can’t change something that’s already happened or already done. Instead recognise that what you’ve done has happened and it was a mistake and realise that you need to may be allot more time in the future. Why not check out our Acceptance of CRPS and chronic pain blog? Acceptance of your CRPS can take a long time to reach and it is a hard road to go through. One of the greatest stressors in people’s lives is the perception that you can’t cope. By learning to adapt which may mean changing your standards or expectations, can be really helpful in dealing with your stress. Adjust your standards – Do you need to mop the floor 3 times a week? Do you need to tidy up every day? Couldn’t you substitute an easier meal to make rather than a complex meal?? Redefine perfection and success and you may feel less guilty and less frustration Practice thought-stopping – stop your gloomy thoughts right away. Don’t replay a stressful situation as a negative and maybe it will stop being negative. Adopt a phrase or mantra – Create yourself a phrase or mantra such as ‘I can handle this’ or ‘I’m good at this’ and during tough situations repeat your phrase or mantra in your head. Look at the big picture – Think to yourself will this actually matter in 1 year or 5 years or 6 months? Most of the time the answer is simply no. 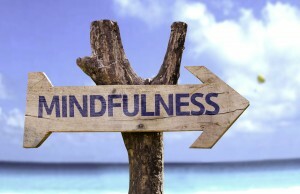 Learning your own relaxation techniques such as guided imagery, deep breathing, biofeedback (see below), Qi Gong, yoga, mindfulness and meditation can help you to relax and more importantly decrease your stress levels. Once you’ve learned these techniques you can do them on your own at any time throughout your day when you need to. Learning to rest when you need is an important part of life with CRPS or chronic pain. Learning to pace yourself is extremely vital in your life. 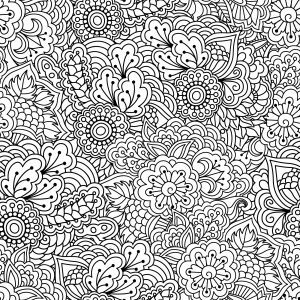 … incorporates techniques such as meditation, gentle yoga and mind-body exercises to help people learn how to cope with stress. It gives people greater clarity on what is happening in their lives. Stress-management counselling is offered by various types of mental-health professionals. Stress counselling and group-discussion therapy have proven benefits in reduction of stress symptoms and improvement in overall health and attitude. It doesn’t have to be a long-term commitment, but some do benefit from a short series of counselling sessions. They will try and identify the main issues in your life and work out some strategies with you to try and learn to control different situations. (Stoppler, M.C. (2015) Why not visit our Counselling for CRPS & Chronic Pain blog to learn more about what happens in a typical counselling session? 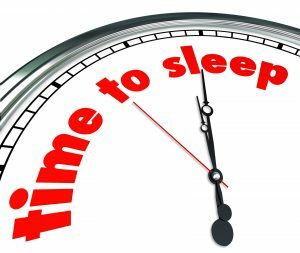 We have a great board on PINTEREST just for Insomnia and Sleep help. Why not join us on there? 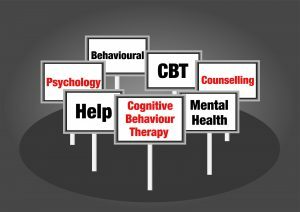 Cognitive Behavioural Therapy or CBT can help you alter the way you think, which can then lead onto you being able to alter the way you feel and cope with your pain and stress. 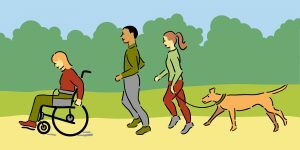 There are a number of CBT techniques available such as pacing, gentle exercise, pace and monitor and goal setting. 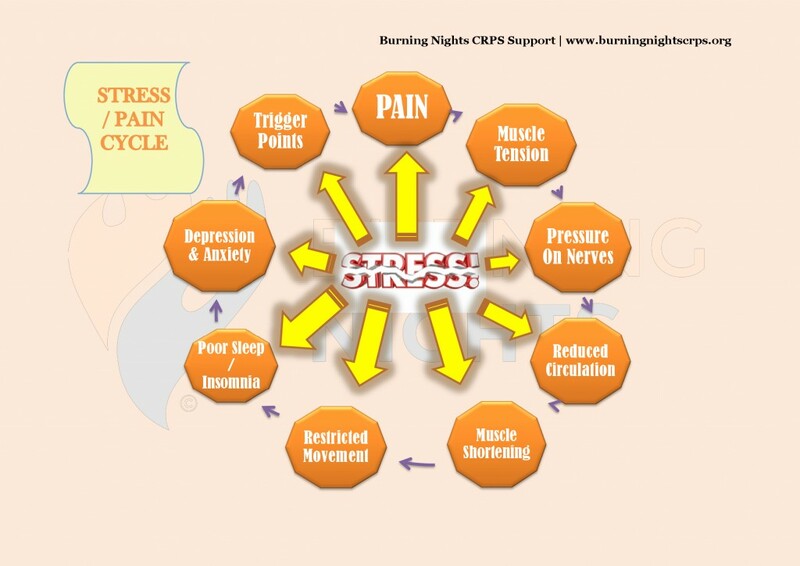 You can find out more about CBT for CRPS and chronic pain by visiting our CBT for chronic pain an CRPS blog. 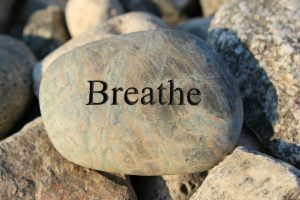 Why not check out our BREATHING EXERCISES FOR CRPS/RSD blog? You can find some different breathing exercises that may help. One of the most common causes of stress is feeling pressured by a lack of time. Time management methods involve finding ways to work more efficiently, so as to maximize one’s use of time. A variety of techniques and tools for list-making, task analysis scheduling, and task prioritisation are most typically used. 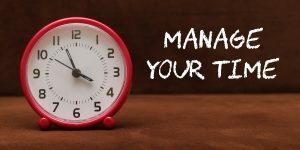 We certainly can’t add an hour or extra minutes to your day, time management techniques allow you to use your time more effectively and help you to save an hour a day by becoming more efficient. Set goals that motivate YOU – Those important goals that you want to try and make. If you set goals that you’re not interested in then you won’t make those goals and so won’t have success in achieving them. Write down WHY the goal is important to you. Set goals in WRITING – When you write goals down it makes them real and so there’s no excuse for forgetting them! Make sure you write your goal in a positive way and possibly use a To Do List and don’t forget to post your written goals somewhere they are visible, don’t just put them in a drawer so you can forget about them. The TO-DO list must have your goals in order of priority with the highest priority being at the top of your list. Make an ACTION plan – Write out the steps that you need to make to reach your goal, make sure you don’t make each step too big otherwise you will start thinking negatively because you can’t reach those steps. Don’t forget to STICK WITH IT all! It wont be all achievable straight away, remind yourself of the goals and steps along the way. Give yourself a reward for each step and goal you attain and they are all ongoing so don’t forget! Keep a time log – Stop wasting time! 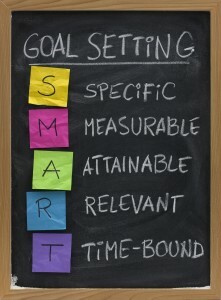 (ESF) For more information about Goal Setting and SMART, you can visit our Cognitive Behaviour Therapy (CBT) blog. This is where organisational skills come into effect. Anything from de-cluttering your desk to sorting through your e-mail inbox. When you are organised you can have a sense of you having things in complete control. If you become too rigorous with your list making or scheduling, your thought processes can become too rigid and tight. If you constantly wait for the ideal situation or moment to move into action your to-do list begins to pile up, it can then create more pressure and therefore more stress. Burning Nights CRPS Support has a regular face to face CRPS support group in Manchester and we hope that we can spread this to other parts of the UK. Face to face support groups are a great idea as not only do you get to meet other CRPS sufferers, carers, families and friends but also you are out of your home environment. We are also starting a CRPS support group in Bristol as well as Manchester. Our 1st support group in Bristol is on FRIDAY 18 NOVEMBER a 2pm. 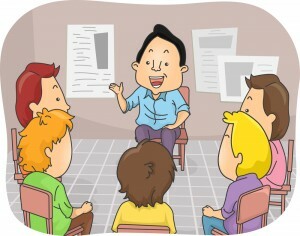 Visit our Events page for the Bristol CRPS support group. We also have an online community forum where you can chat, ask questions, find tips and general help. Every year we also hold an annual Meet & Greet conference. Our inaugural event was November 2015 in Birmingham. Our 2nd Annual event was at the Manchester Marriott hotel. If you are interested in coming along to any of our support groups please contact us. You can also find us on social media – Facebook, Twitter, LinkedIn, Google+, Pinterest and YouTube. To find out more information, help and support* we have a telephone number which you can ring to get in touch with us. We are based in the UK and the people who answer your calls are CRPS sufferers, so we don’t keep regular hours. Generally we are available during the week during office hours. Remember to say “No” when you need to and learn to ask for help! *Hippocampus is the elongated ridges on the floor of each lateral ventricle of the brain, thought to be the centre of emotion, memory, and the autonomic nervous system. 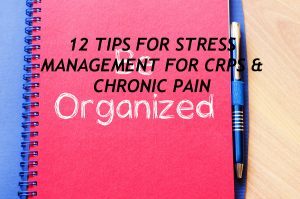 Hopefully this stress management for CRPS & Chronic Pain blog has given you some guidance and help in understanding about stress, managing it and coping everyday while living with CRPS or/and chronic pain. Good stress management is extremely important when it comes to successfully self-managing your chronic pain. However please remember that there is only so much that can be done to reduce your pain when you have chronic pain and you cannot simply fix your chronic pain or CRPS. Our question to you is, how do you manage your stress? I'm a barrister, advocate & sufferer of Complex Regional Pain Syndrome (CRPS). I am also a bilateral (double) above knee amputee due to aggressive symptoms of CRPS. However I want to help all those affected by this devastating condition which includes those living with CRPS, their loved ones, families, carers and friends. Please help spread awareness of this debilitating and life-changing condition - CRPS. We need your support! This is a brilliant article I have read through it twice. I don’t have CRPS but I do have an illness that requires me to keep my stress levels down. I will certainly be taking on board a lot of the help and advice detailed in this article. We all in our everyday lives experience some kind of stress therefore, this is a must read for all sorts of illnesses. Thankyou for providing this information.